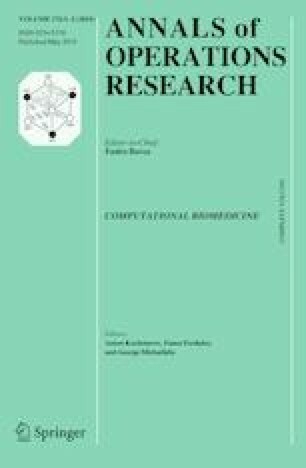 This study develops a resilience control model and computational algorithm for simultaneous structural–operational design of supply chain (SC) structural dynamics and recovery policy control. Our model integrates both structural recovery control in the SC as a whole and the corresponding functional recovery control at individual firms in the SC. Such a comprehensive combination is unique in literature and affords more realistic application to SC resilience control decisions. The focus of our study is to advance insights into feedback-driven understanding of resilience within open system control context. We construct a model that allows theorizing the notion of SC resilience within a disruption dynamics profile as a product of degradation and recovery control loops and examine the conditions for changes of disruption profile states. We show that the deviations from the resilient trajectory are associated with structural and performance degradation, and the recovery operations in structural adaptation yield the performance recovery. We contribute to existing works by comprehensively modelling structural dynamics and operational dynamics within an integrated feedback-driven framework to enable proactive SC resilience control. Our approach conceptualizes a new perspective as compared to the more common closed system view where SC resilience is treated from the performance equilibrium point of view. The proposed approach can help explain and improve the firms’ operations in multiple ways. First, the combination of structural and functional dynamics can help revealing the latent supply–demand allocations which would be disrupted in case of particular changes in the SC design and suggest re-allocations of supply and demand Second, the model can be used to perform the dynamic analysis of SC disruption and recovery and to explain the reasons of SC performance degradation and restoration. This analysis can be further used to improve SC risk mitigation policies and recovery plans. The authors thank the associate editor and three anonymous referees for their invaluable comments that helped us in manuscript improvement immensely. The research described in this paper is partially supported by the Russian Foundation for Basic Research (Grants 16-29-09482-ofi-m, 17-29-07073-ofi-i, 19-08-00989), state order of the Ministry of Education and Science of the Russian Federation No. 2.3135.2017/4.6, state research 0073–2019–0004. Banker, S. (2016). PepsiCo’s practical application of supply chain resilience strategies. [online] Forbes.com. https://www.forbes.com/sites/stevebanker/2016/10/01/pepsicos-practical-application-of-supply-chain-resilience-strategies/#7121d6df6293. Accessed 09 March 2019. Elluru, S., Gupta, H., Karu, H., & Prakash Singh, S. (2017). Proactive and reactive models for disaster resilient supply chain. Annals of Operations Research. https://doi.org/10.1007/s10479-017-2681-2.